For all its enduring appeal as the perfect summer table fruit, the strawberry only seldom embarks on the hopeful journey to posterity undertaken by grapes, apples, and other fruits that enjoy greater attention from producers of fermented beverages. A less charitable opinion on the use of strawberries in fermented beverages, attributed to the Lord Bishop of Calcutta in 1830. All is not lost, however. Given the notoriously fast-fading flavor of strawberries, it comes as no surprise that they’re mostly snatched up for use in jams, shortcakes, and just for eating plain, perhaps with a dash of aged balsamic vinegar. But if enough baskets of the freshest, local strawberries are picked at their peak and set aside for the brewery in copious amounts, a fantastically refreshing strawberry beer can be had, at least for a few weeks of fleeting enjoyment. Strawberry Moon, a strawberry sour ale by Zero Gravity Craft Brewery of Burlington, Vermont is one such beer. Here in the northern hemisphere, strawberries were at their peak a little over a month ago, their ripeness coinciding with the lunar event for which this beer is named. “Strawberry moon” is the traditional name for the June full moon in American folklore, a sobriquet originating from its use by many Algonquin tribes as a cue to begin the summer berry harvest. The same full moon, always the last of spring or the first of summer, was known in medieval Europe – no less deliciously – as the “mead moon”. Whether the full moon in June invokes honey, fruit, or flowers for you, the message is undeniably one of summer. Appropriately, Strawberry Moon features a hummingbird on its label, another perfectly fitting harbinger of sweet, summertime nectar. Despite its usually diurnal behavior, the hummingbird makes an ideal avian mascot for this full moon beer, and Strawberry Moon echoes the brilliant, iridescent gorget of Vermont’s Ruby-throated Hummingbird with a shimmering can of purple and rose. 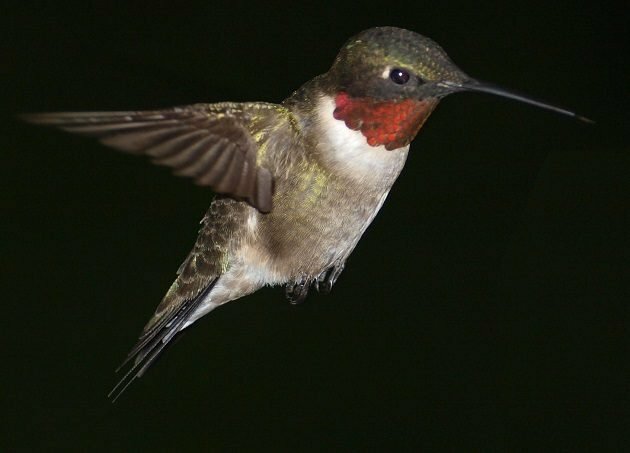 A male Ruby-throated Hummingbird in the dark, perhaps photographed by the light of a strawberry moon in June? Though strawberries are the undoubted star of this beer – all 2,400 locally-grown pounds! – they share the stage with some admirably-sourced ingredients, including organic wheat malt and pilsner malt from Peterson Quality Malthouse, Vermont’s first commercial maltings. To give Strawberry Moon’s fruity tartness ample room to shine, the hopping is kept light with Hallertau Mittelfrüh, an old landrace hop from Germany. As in many sour beers, Strawberry Moon is soured with a strain of Lactobacillus, the cosmopolitan probiotic bacteria also used to convert sugars to lactic acid in countless fermented foods throughout history, including yogurt, cheese, pickles, cocoa, and sourdough bread. Zero Gravity calls it an “American sour ale”, but with its acidic punch, Strawberry Moon recalls Berliner Weiße, a typically tart and low-strength wheat beer indigenous to Germany’s capital named “the Champagne of the North” by Napoleon’s troops (though at 5.2% alcohol by volume, Strawberry Moon is a bit more potent than the standard Berlin wheat beer). Fruit and sour beer make a refreshing and natural pairing for summer drinking, and Berliner Weiße is traditionally flavored with fruit as well, though this usually takes the form of raspberry syrup, added by the drinker to taste and giving the beer a warm blush (an equally popular syrup flavored with the herb woodruff allows drinkers to color their Berliner Weiße an alarming shade of lime green). Given the longstanding tradition of pairing strawberries with cream, the soft, milky sourness of a wheat beer makes an ideal canvas for an infusion of this floral, perfumed fruit. And while perfectly ripe strawberries are best enjoyed with as few gastronomic distractions as possible, the syrupy tang of balsamic vinegar can bring their floral sweetness to even greater heights, a pairing of sweet and sour that resonates in Strawberry Moon. 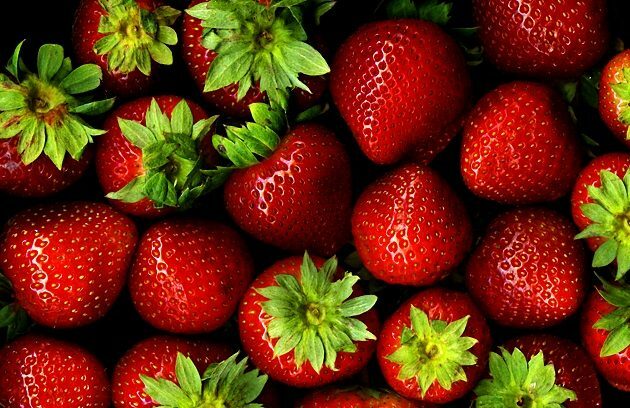 Halfling musings on this most iconic summer fruit – in a sentence containing the most necessary ingredients for strawberry beer – from The Return of the King by J.R.R. Tolkien. Certainly, a strawberry beer should look the part, and Strawberry Moon does just that, filling the glass with a hazy, orangey shade of apricot, crowned with a fizzy ring of bubbles that scatter in short order, as in most sour beers (and in the similarly acidic Champagne. There’s an aroma of cool, lemon sherbet at first, with this citrusy brightness giving way to the unmistakable scent of ripe summer strawberries as promised. Subtle hints of leather and sulfur linger as remnants of the lactic acid fermentation, contributing a subtle complexity to this rather light, pleasant beer. Strawberry Moon hits the mouth like a puckering punch of pink lemonade – though this could be the simple power of suggestion of its name and color – along with the distinctly creamy tang of strawberry yogurt. There is a beer lurking beneath all this fruity tartness too, though in this context, the grainy flavors of malted wheat and barley evoke the childhood delights of sweet, sugary breakfast cereal soaked in milk. 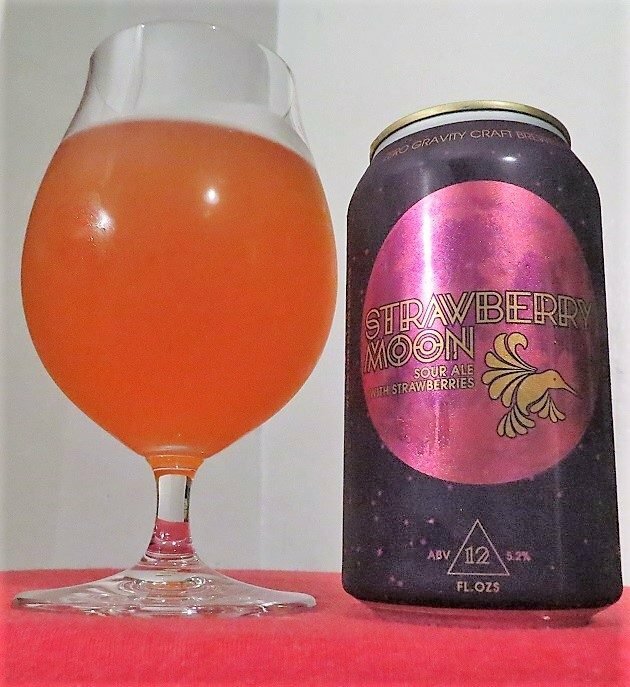 Returning to more grown-up sensibilities, Strawberry Moon finishes with a modest but refreshing sourness, with just a trace of herbal bitterness in the end. 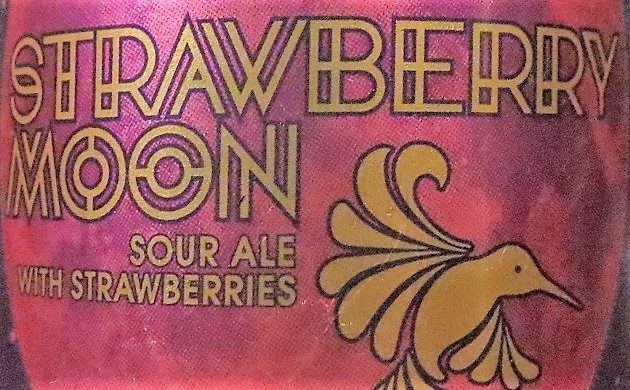 With this year’s strawberry season now a distant memory, Strawberry Moon allows us to enjoy the fruits of this harvest – brilliantly reincarnated as a tart, refreshing, and wonderfully light beer – as we head into the dog days of August. Good birding and happy drinking! Four out five feathers (Excellent). Tristan Lowery’s busy homebrewing schedule took a hit in 2010 when he discovered birding and found that scanning the waterfowl at Jamaica Bay Wildlife Refuge on a frigid midwinter morning could be just as much fun as standing over a steaming mash tun in a sweltering Queens apartment in August. While his growing commitment to birding has undeniably diminished his brewing output of ales - fine and otherwise - Tristan finds that birding still affords him plenty of excuses to at least keep drinking beer, especially when celebrating life birds, lamenting unsuccessful chases, and capping off an exhausting Big Day or Christmas Bird Count. After leaving behind a hectic cooking career in New York City’s fine-dining scene, Tristan moved inland to the New York's Capital District, where the relative abundance of Pileated Woodpeckers almost makes up for the fact that he’s only seen a single Sanderling in Albany County ever. When he isn’t birding his local patches in urban Albany, Tristan works in energy regulation for the State of New York. Where Are You Birding This Fourth Weekend of September 2012?